WGSN is the world's leading fashion trend forecaster. 1000's of fashionistas log in daily to find out what's happening and where. The web platform has been added to over the years and it's groaning under the strain. 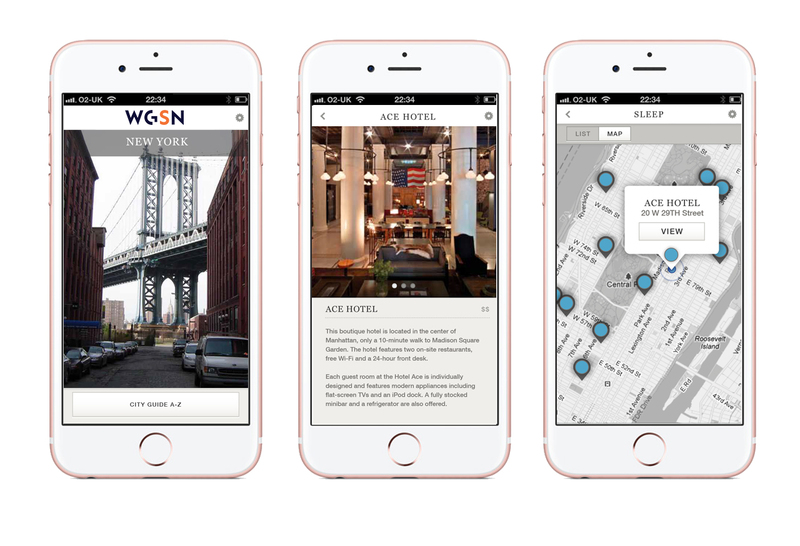 To take customers minds off the less-than-perfect search facility and unwieldy navigation (whilst a major redevelopment is underway) we designed and developed an app that put the much sought-after data into the hands of their customers. The company has access to the most beautiful fashion photography - giving us a veritable feast of fabulous images to work with. The fashion world mostly revolves around events occurring in 12 cities around the world - all of which have an ever-evolving supply of must-see and be-seen-at venues (where to stay, where to eat, where to drink, where to shop). Teams of willing researchers travel the world to keep this data exclusive and fully up to date using our bespoke content management system. All anyone has to do is be there, turn on location-based services, and they know exactly where to go and what to see.